For the over-scheduled generation, the illustrator of the popular BabyLit books explores the joy found in wildness, following in the footsteps of beloved bestsellers The Night Gardener and Mr. Tiger Goes Wild. This simply worded and stunningly illustrated story reveals the joy to be found in play, nature, and, most of all, embracing the wild in us all. 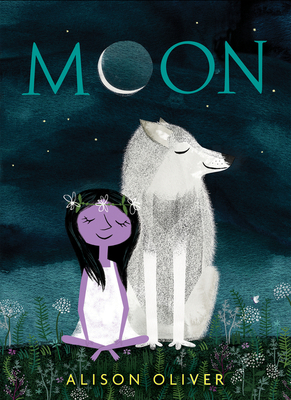 Alison Oliver is the author-illustrator of Moon and the illustrator of more than 30 BabyLit board books, including, most recently, Anne of Green Gables. Sales for the series total more than 1.8 million copies. She is also author-illustrator of a forthcoming Be Bold, Baby board book series, featuring biographies of strong, inspiring women. Alison lives in New York City, where she also runs a design studio called Sugar. www.pure-sugar.com; Instagram @alisonoliverdesign.